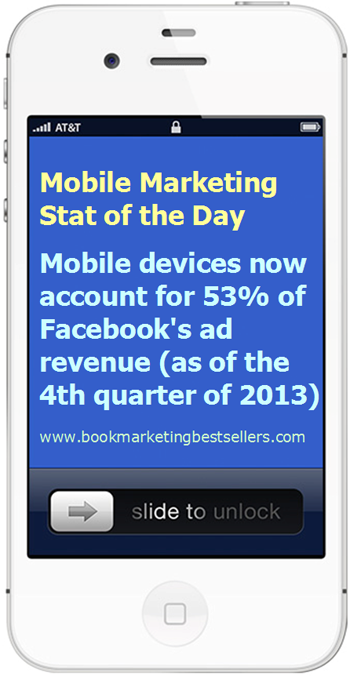 Mobile devices now account for 53% of Facebook’s ad revenue (as of the 4th quarter of 2013). That’s compared to 23% in the 4th quarter of 2012. Mobile devices don’t just account for ad revenue. They also account for sales of books, products, services, and even ideas. Mobile devices now account for 53% of Facebook’s ad revenue, as compared to 23% a year ago.